Welcome back and Happy New Year to you all! 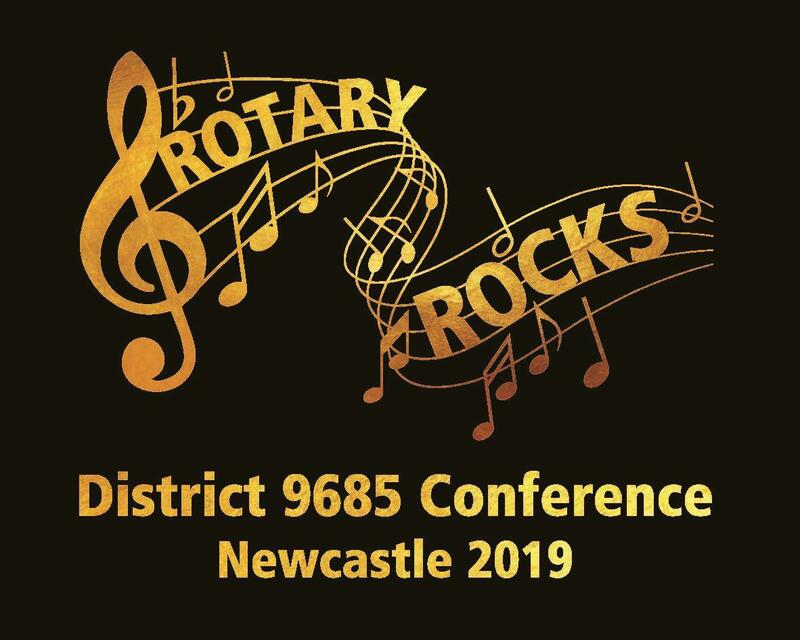 I hope you all had a lovely break over the festive season and are rested and ready to go for the 2019 Rotary year! 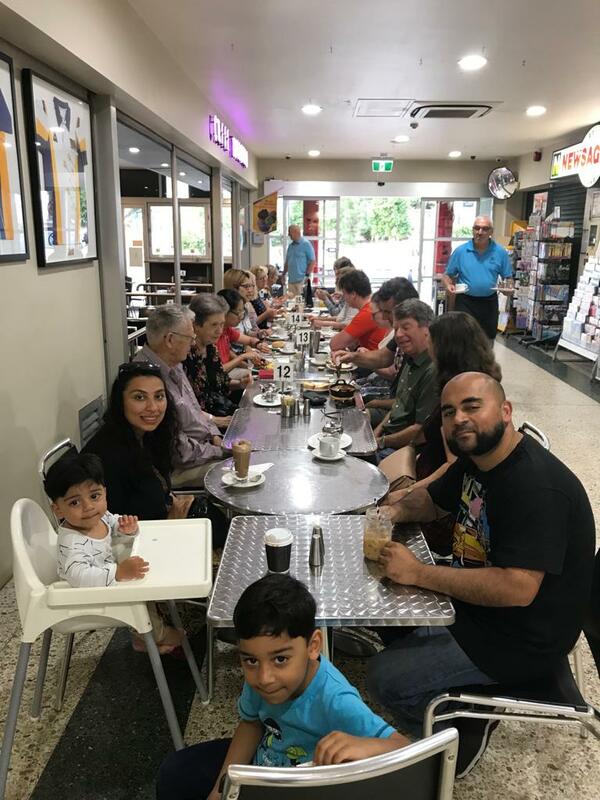 It was lovely to see so many members at the January breakfast at Cafe InContro last week and catch up on everyone's news. 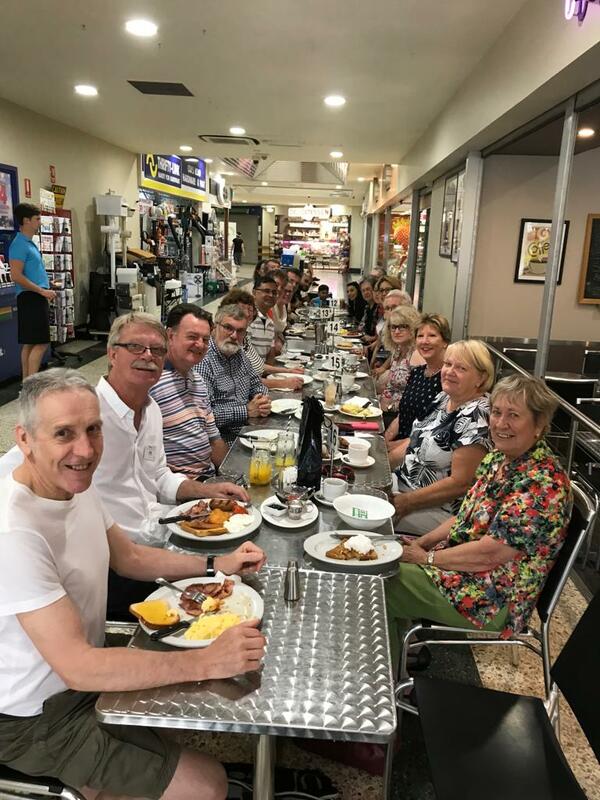 We also welcomed Bernie and Peter Mason who joined us for breakfast. Bernie and Peter live in North Ryde and are interested in joining the club. We look forward to seeing them both at future meetings and events. Our first club meeting will be next Friday 1 February at Dunmore Lang College, 7a.m. for 7.15a.m. start. David Martin will be leading the planning for this year's Country Students IT Visit with will be held in May. A reminder to let David know by 9a.m. Wednesday if you are not able to come to the meeting. David has to advise DLC on Wednesday of the number of members who will be attending for catering purposes and the club is charged according to that information. David's contact details are email: djmartin1314@gmail.com or mobile is 0414642948. The first Board Meeting for the year will be held on Wednesday 30 January at 93 Park Road Hunters Hill commencing 7.30p.m. All members are welcome to attend. 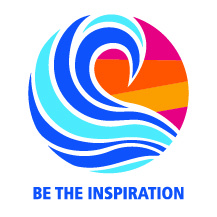 Among other matters, we will be discussing the planning for two fundraising events coming up soon. 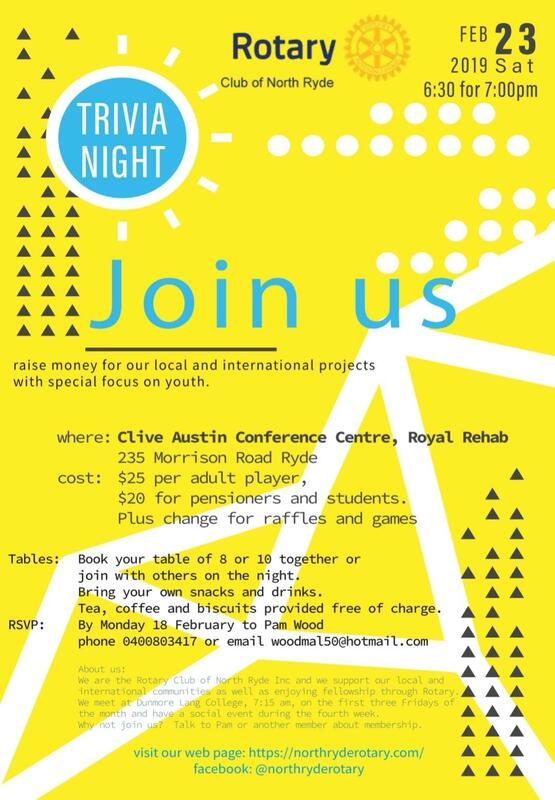 The Trivia Night will be held on Saturday 23 February at Clive Austin Conference Centre Royal Rehab 6.30 for 7p.m. start. 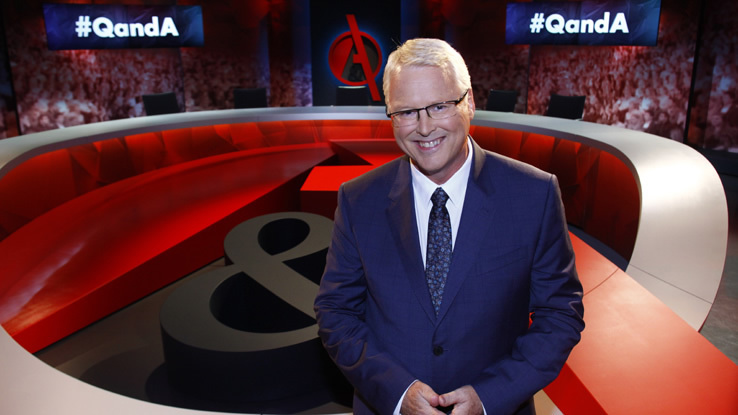 We are fortunate that Stephen Sim has agreed to be our Trivia Master so it should be a fun night! Please invite your friends and family to come along and book at table of 8 or 10 or join with others on the night. 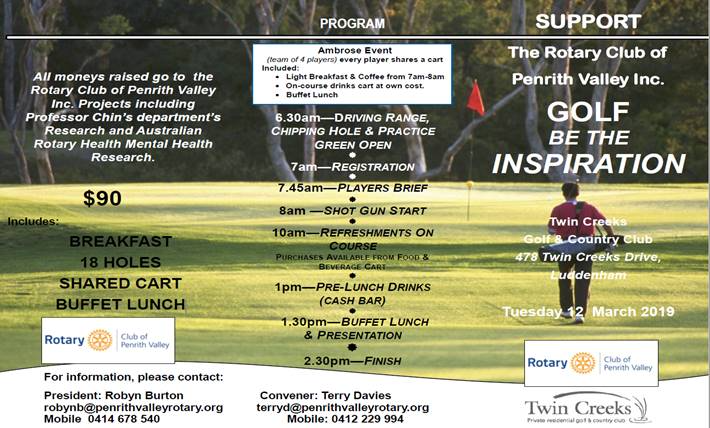 See the flyer in this bulletin for more information or contact me email: woodmal50@hotmail.com or mobile 0400803417. 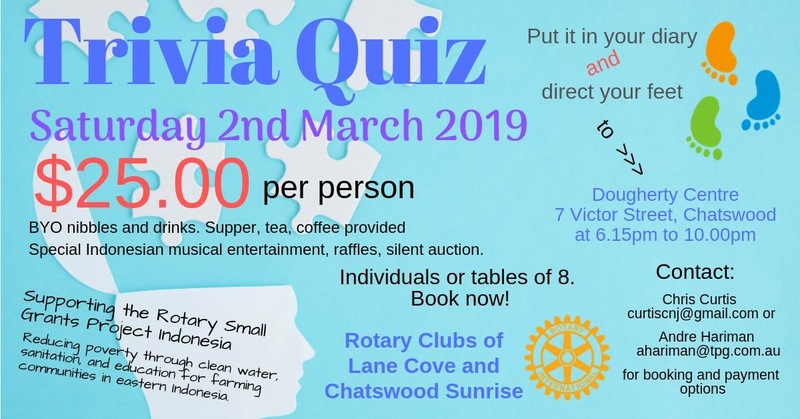 The funds raised from the Trivia night will help support the Club's Youth projects. 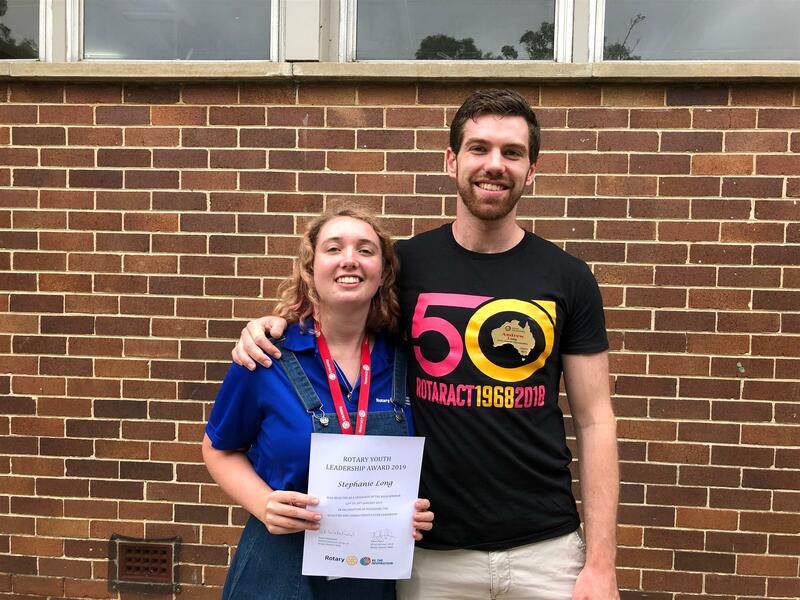 Over the past few weeks we have welcomed home 2018 Exchange student, Josh Nowiczewski from his exchange in Finland and farewelled 2019 Exchange student, Abby Balian, who has headed off on exchange to Germany for 12 months. Stephanie Long recently attended the week long RYLA program through the club's sponsorship. This weekend we sponsor Abby Ottewill to attend the RYPEN weekend. As mentioned earlier, this week we begin our planning for the 2019 Country IT student's visit. We are very proud of the Club's support for Youth programs which would not be possible without our fundraising efforts. We are also seeking bottles of wine or items for prizes, so if you have any unwanted Christmas gifts or other items you would like to donate, bring them along to a meeting or let me know and I will organise to collect them. The second upcoming fundraising event is the Book Stall which will be held at North Ryde Public School on the State Election Day, Saturday 23 March. 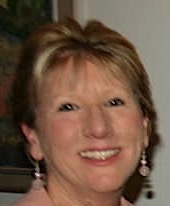 Gwen Martin is coordinating the book sale and has asked that members start collecting books in good condition and paper bags for the sale. 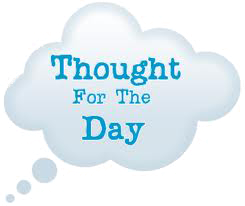 The type of books required include: novels, critically acclaimed, crime, romance, children's books, recent travel , gardening, cooking and classic. Please NO text books, comics or magazines. CD's and DVDs in good condition also will be accepted. Please hold any acquired books for the stall until closer to the date as we are running out of storage space. However if you do have a storage problem please let David, Victoria or myself know and we will organise to collect the books. Paper bags are to give to purchasers to carry their books, NO plastic bags please. Read the December District International news here. Welcome home 2018 Exchange student Josh Nowiczewski! 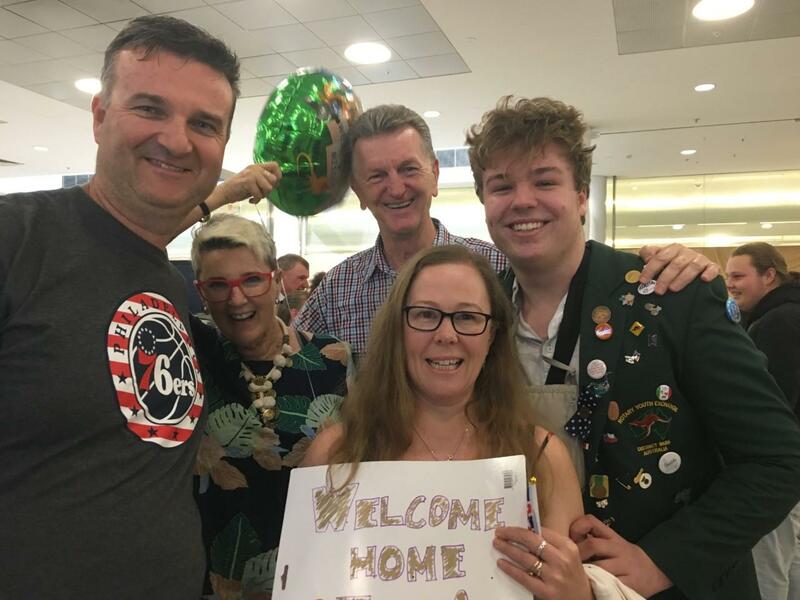 Josh has recently returned home following a year exchange in Finland. Josh's parents Jen and James are currently hosts to our current inbound exchange student Helmiina Salila from Finland. Our Outbound student for 2019 Abby Balian flew out to Germany last Saturday 19 January for her year exchange experience. 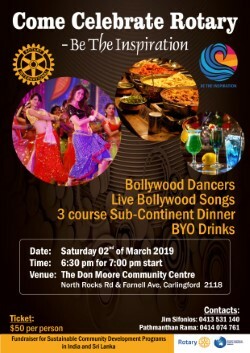 The 2019 RYLA Candidate for the Rotary Club of North Ryde was Stephanie Long. 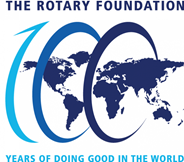 Stephanie is the Membership Director for the Rotaract Club of Macquarie -Ryde. 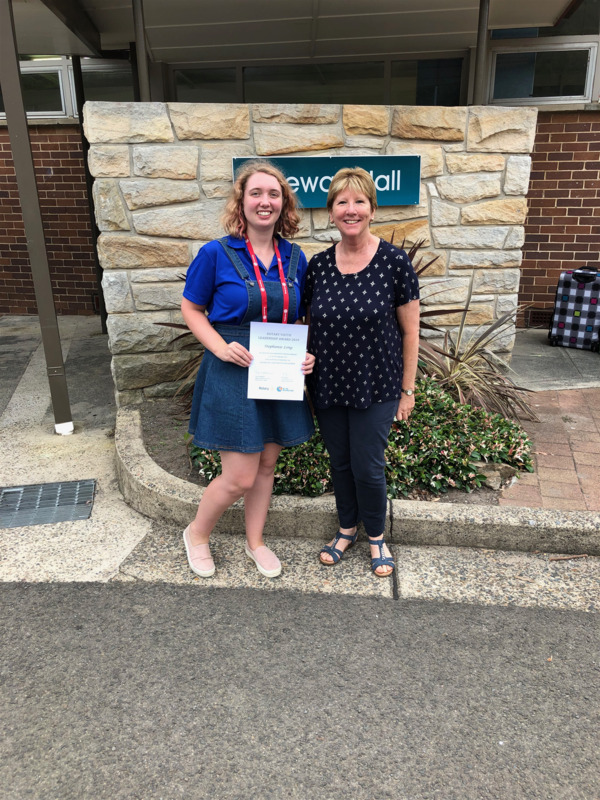 Stephanie participated in the week long leadership program RYLA (Rotary Youth Leadership Award) from Sunday 13 January to Saturday 19 January held at Narrabeen. 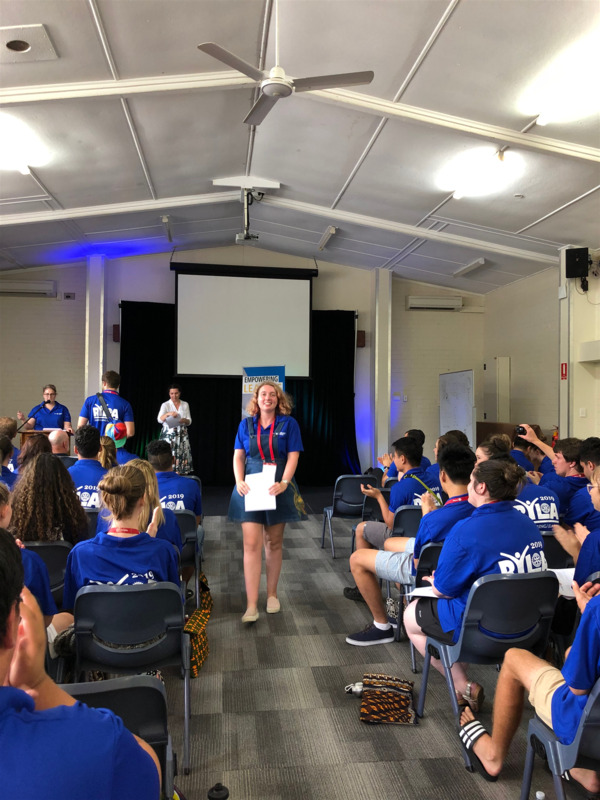 Tylah McConnell, past RYLARIAN from North Ryde Club, participated as a facilitator. Stephanie's brother was there to support her at the award presentation. There is still time to register! Follow the link for more information New Members are most welcome attend. Getting Ready for 2019 Working Bee! Time: all day from 7am. You can come at any time. We are having a working bee on Saturday 2nd February 2019 and your assistance in readying the Centre to welcome home our horses, volunteers, riders, families and carers will be greatly appreciated. There will be a list of jobs in and around the Centre to choose from: cleaning, gardening, painting, cleaning tack, weeding horse yards, checking fences, mowing lawn, organising the garage and feed shed just to name a few! Early starters can enjoy free bacon & egg rolls, tea & coffee from 7am. Morning tea and a sausage sizzle lunch will be available at 12 noon. Your help in preparing for our 2019 classes would be wonderful. A hands-on, practical seminar covering all you need to know on how to improve your club’s public image. No cost to participants. Coffee & Tea on arri- val and a light lunch will be provided. RSVP: by Friday 8th February to email : gina.growden@bigpond.com. Registration is essential. Is it true that if you weren't embarrassed by what you did last year, you didn't do enough?